Hello Crafters, I hope you enjoyed your weekend! I can't believe July is nearly over. Sadly, this Summer is flying by which means I'll be freezing here in Ohio shortly. It also means I have to enjoy all the flower stamps while I have the chance! I couldn't stay away from the Southern Florals 2 set but this time I brought my markers along. No line coloring can be overwhelming, but it's such a different look that it's usually worth making myself uncomfortable for. This time it definitely was! You can see how I approached these beautiful solid image stamps in the video below. The coloring actually went pretty fast once I got comfortable. This technique is really all about that flicking of the marker. Don't be discouraged if you need some practice at it this technique is a great way to gets lots of practice in for sure! 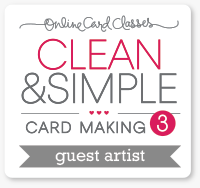 Adding details and dimension is a great way to really step your clean and simple card up. The Ebony Nuvo drops and simply popping up the panel and more interest than just having a flat one layer. Which says a lot coming from me! Hey folks! I’m Cynde Whitlow from The Pink Envelope. 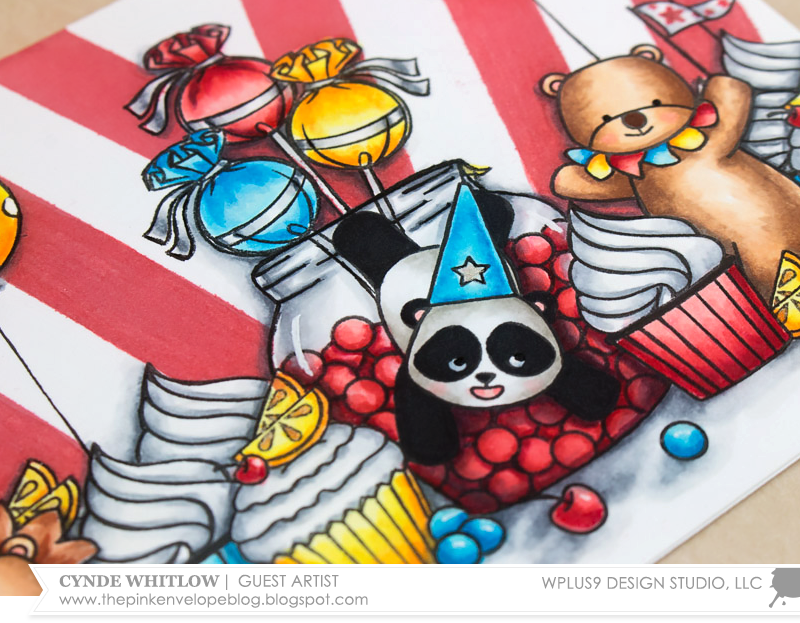 I am so honored and excited to be on the Wplus9 Blog today! 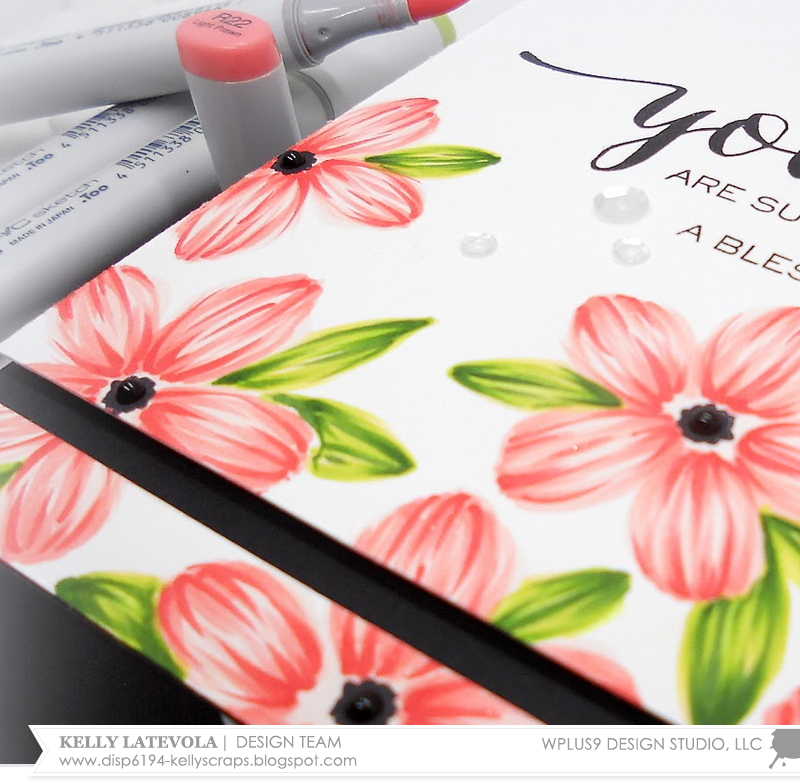 When I was asked to guest design - and after I fan girled a little (maybe a lot) - my mind immediately started planning how I could color those amazing floral images they are so well known for. However, I also thought it would be super groovy to shake it up a bit and put together something a lil out of the ordinary and crazy fun! So, today I’m using Big Deal, Unforgettable, Sweets & Treats, Fresh Preserves and A Pocketful: Valentine to create a Circus Birthday. Before I stamped anything I did two things, First, I cut masks from full stick Post-It Notes. Now, I know it’s A LOT folks, but I promise the planning ahead and taking the time to cut them all out is so worth it. Plus you can double up your Post-It Notes and that makes cutting them out super easy. 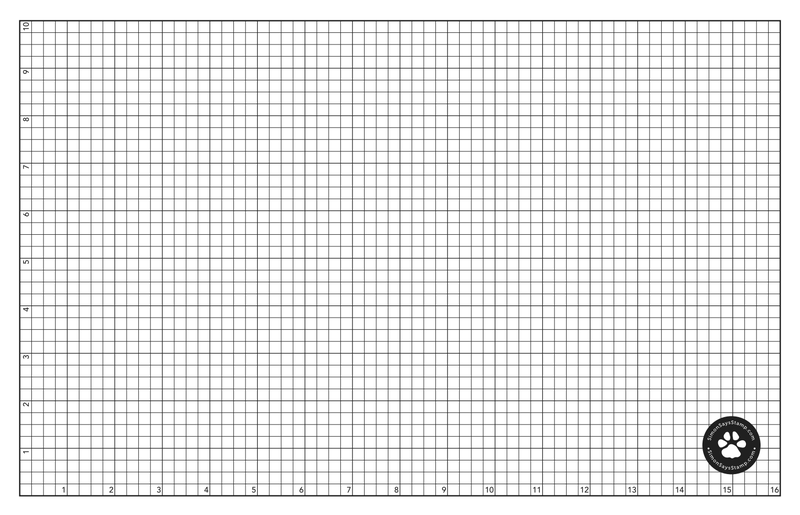 Second, using a T-Square Ruler and a pencil, I lightly traced a line across my panel a little over a 1/4” from the bottom. This will be my guide as I start stamping my images. 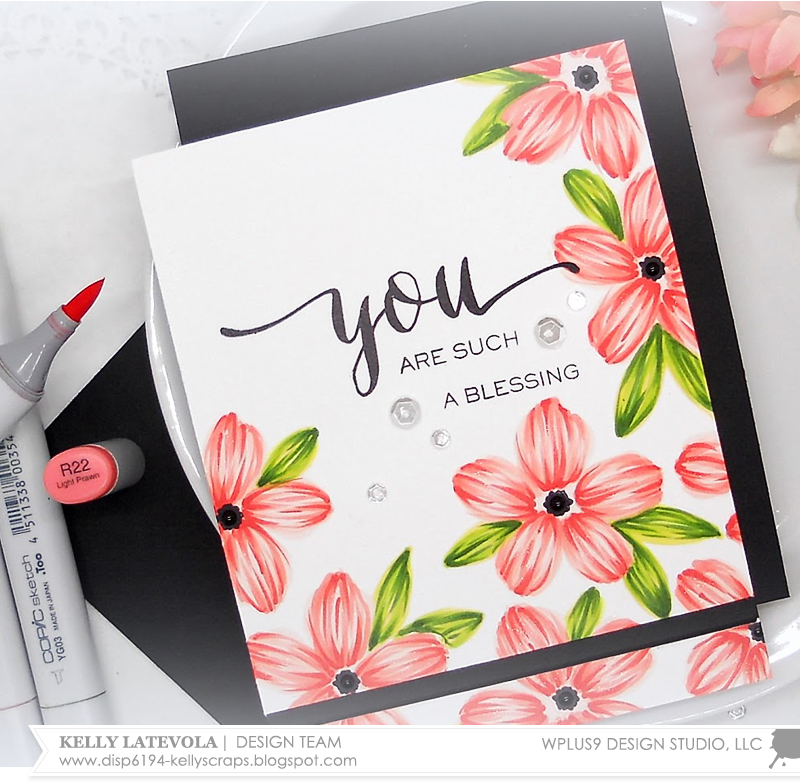 Using my MISTI Stamping Tool, I started stamping all of my images in a Copic friendly black ink. Keep in mind folks, when masking, your foreground images get stamped first. The MISTI makes this job easy peasy. For example, I could stamp the lemon/cherry image and the single cherry from Sweets & Treats and the little ball from Big Deal at the same time. These little images seem trivial, but they make for great details on the finished card! To make sure I would have enough room for my jar, I placed it in my panel and then added the 2 cupcakes from Sweets & Treats where I wanted them. I closed the MISTI door and picked up the cupcakes. 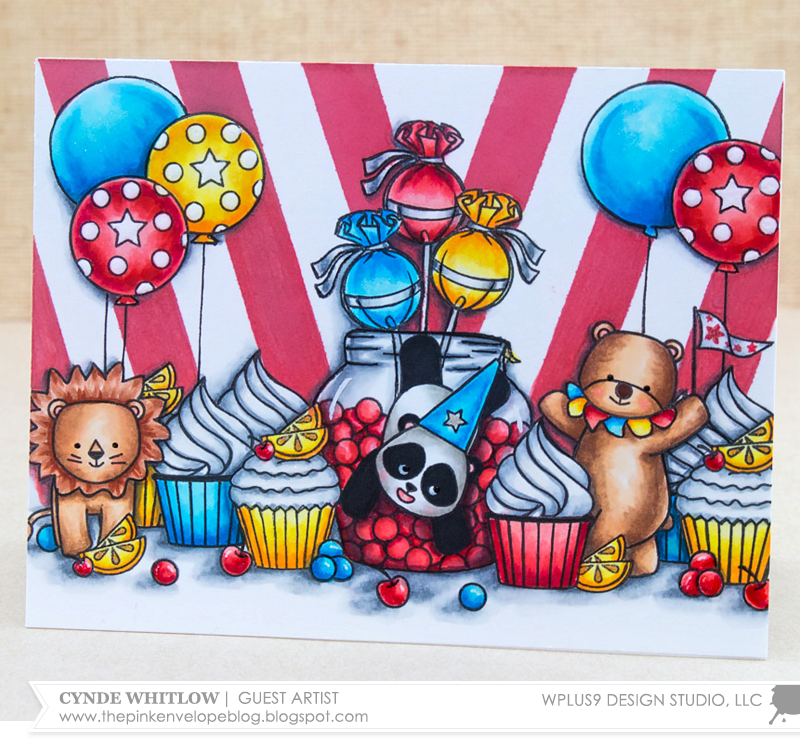 Since I knew I would have enough room for the jar now, I stamped more cupcakes from Sweets & Treats and I really wanted to play up the circus theme so I used the lion, the panda and the bear from Big Deal. However, I didn't stamp the panda just yet. I made sure to stagger and spread out my images. I wanted a full card. I thought the big ball in Big Deal would make a super fab balloon, so I stamped that three times on my panel. I did leave room for the balloon from Unforgettable, because the solid balloon would help give the eye some rest from the patterns on the other “balloons”. Again, I placed the jar from Fresh Preserves onto the panel. 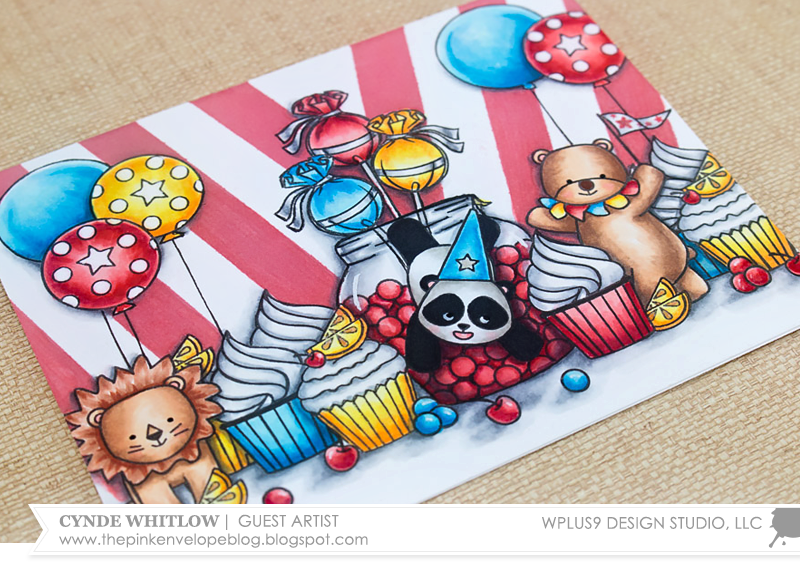 Then, I placed my panda on top of that and since I had room, I placed the lollipops from A Pocketful: Valentine on top of the jar and closed the door of them MISTI to pick them both up. After I was finished stamping those, I placed my jar on to the panel again. This time I was ready to ink it up. The jar stamp in Fresh Preserves actually has a solid lid on it. I wanted mine to be see through. For starters, the solid black would cover some of my Panda and also, I liked the idea of seeing the lollipop sticks go down into the jar. So to make it look like a jar with no lid, I only inked up the stamp to the point where the jar meets the lid. After I stamped it, I put my jar mask over the stamped image and using a Copic Multiliner, I carefully traced around the top of the mask. Then I removed the mask and added lines where a jar would be threaded. Then I masked off the panda, his hat, and around the outside of the jar and stamped “gum balls” using the little ball from Big Deal. This seems CUH-RAZY since there are so many. The trick is to cut about 4 masks and then you’re only stamping what will be the most visible. You then make the little gaps in between look like gum balls when you start coloring. At this point, I did start coloring. I really played up the traditional circus colors and Copic colored all of my images in Red, Yellow and Blue. I wanted to reinforce the idea that these guys are sitting on a counter or table in the midst of the treats, so I just added shadows in Grey Copic’s to ground them and left quite a bit of white. 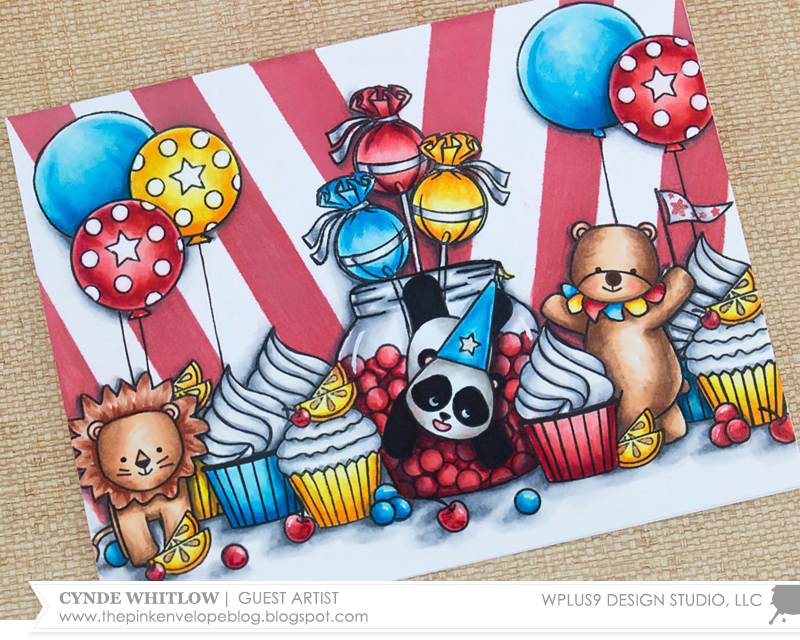 If you have the Big Top Background the background would be easier yet, but I simply masked of stripes using Post-It Labeling Tape in diagonal stripes and ink blended Wplus9 Gala Red Pure Dye Ink with a Ranger Mini Ink Blending Tool. The main attraction (ha ha, no pun intended) of this card IS the scene, so I skipped the sentiment and any embellies. I did however use a Sakura Clear Glaze Pen on all of gum balls not in the jar, as well as the cherries. Clear Wink of Stella belongs on every card, so I highlighted the balloons, the icings and the ties on the lollipops. 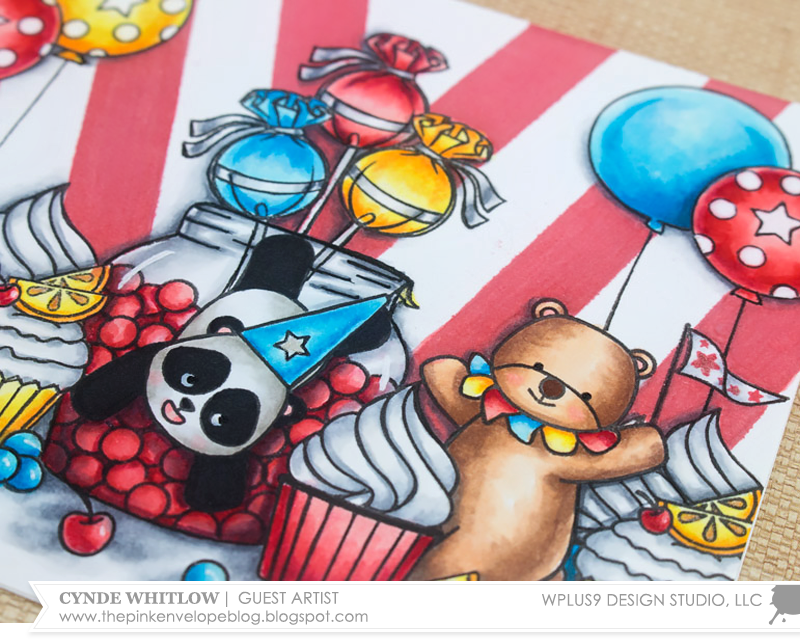 I also used a Sakura White Glaze Pen to reinforce the highlight on the jar as well as the stars and circles in the balloons. That’s it! Thanks so much for stopping by to see me. A monster thank you to Dawn (& crew) for inviting me to play! This was truly a BLAST! I hope I’ve inspired you to think outside of the box, use up those stamps people and create something fun! 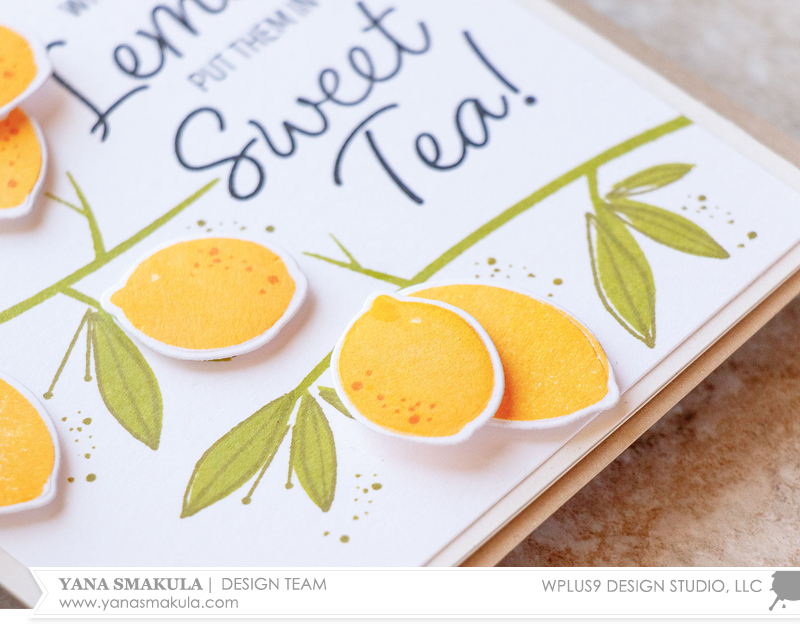 I adore creating my own custom patterns using stamps so I couldn't resist creating one using delicious images from the Summer Citrus stamp set. 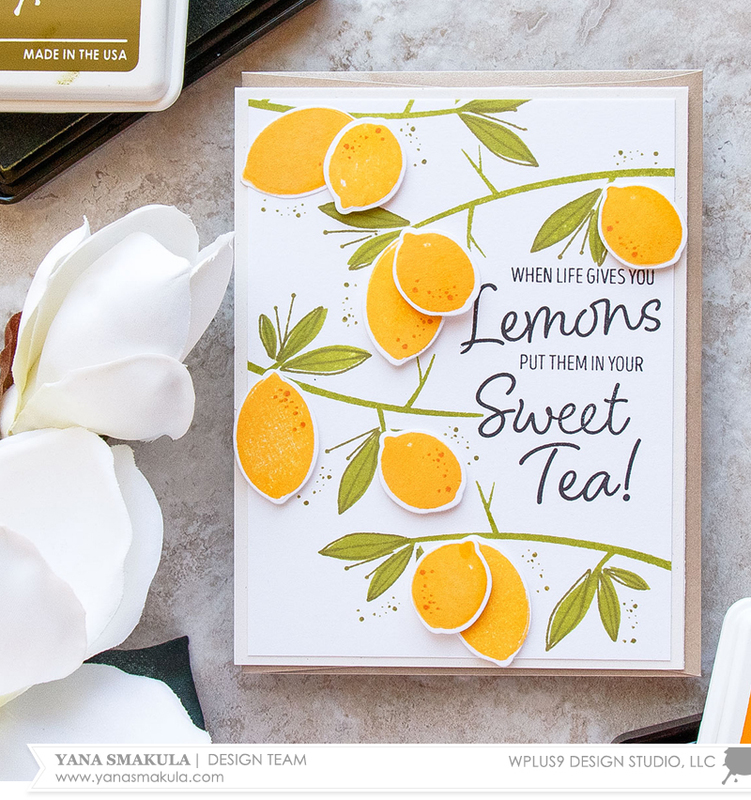 As I was going through various pattern ideas in my head I decided to use a branch stamp from the All Year Cheer set and not only stamp lemons, but create lemon tree branches! I started working on my card by stamping a sentiment first. 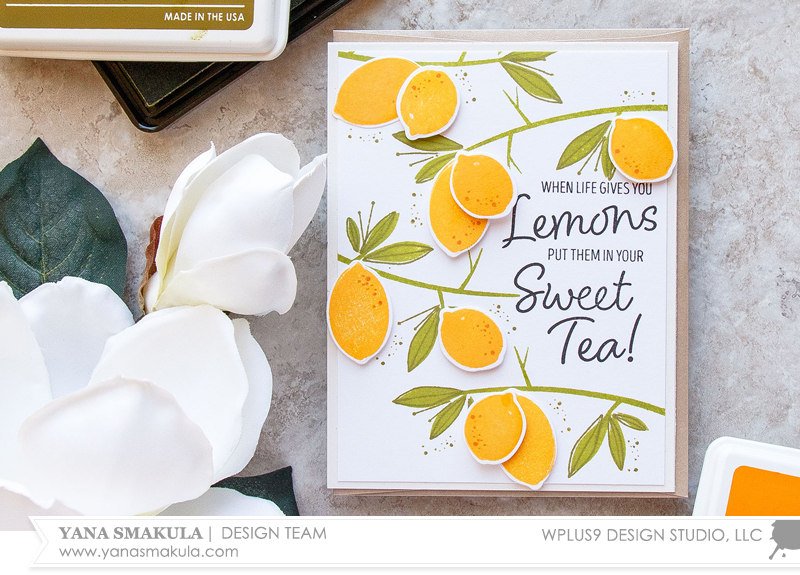 I went with the one that reads “When Life Gives You Lemons - Put Them In Your Sweet Tea” from the Southern Sentiments set and stamped it in black ink onto the middle-right part of my white cardstock panel cut to 4 x 5 ¼”. Having the sentiment in place first allowed me to create the pattern around it and avoid having my images overlap. Next, I stamped 4 branches in Last Leaf ink coming in from the left and right edges of my panel and added leaves using the pineapple crown image from the Summer Citrus set. I stamped the base layer in same Last Leaf and added detail in Appletini. 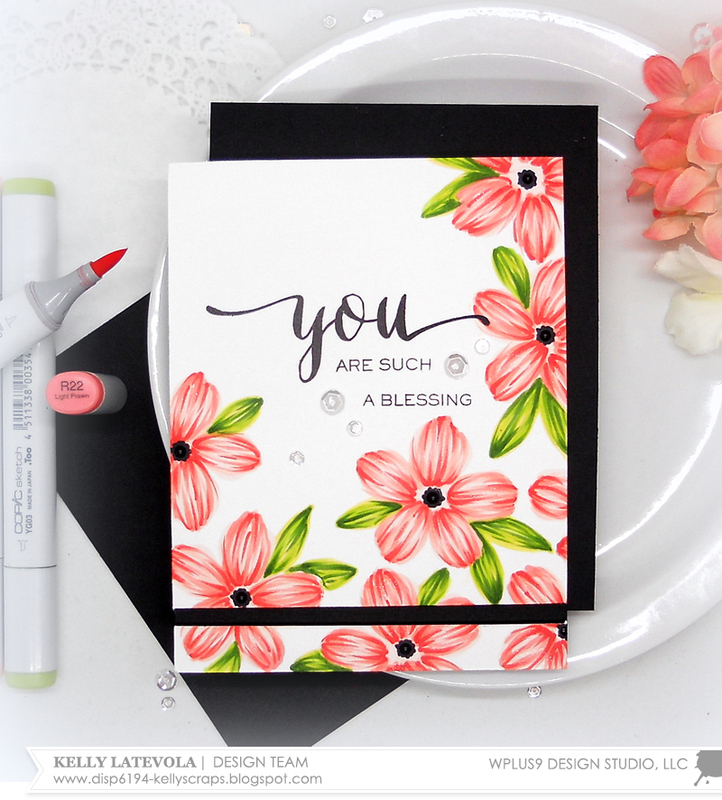 I am not always a fan of masking, so I stamped, die-cut and popped my images up instead. 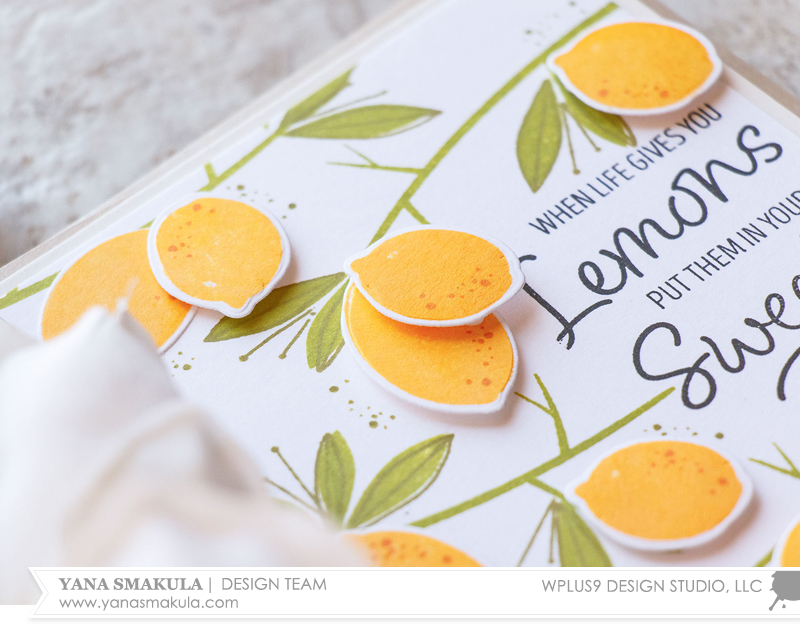 I used Wild Mango and Pumpkin Spice colors to stamp both small and large lemons, cut the images out and foam mounted them onto my panel. Lastly, I added dotted detail stamped in Appletini ink onto panel to complete the card. You can use the same idea to create patterns using other fruits, not just lemons. Think oranges, kiwis, grapefruit etc.